Coco Chanel will forever be a fashion icon, and her famous phrase, "A girl should be two things: classy and fabulous," will always remind women of her and her timeless bags. The most coveted of Chanel bags include the Classic Flap, 2.55 Handbag, Wallet On Chain (WOC), the Boy bag, and the Lego clutch. 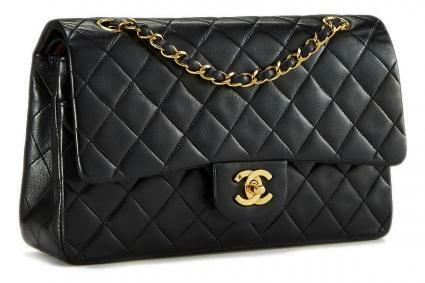 See what you can expect in terms of prices on some of the most popular Chanel styles. The Classic Flap bag is one of Chanel's iconic pieces, which means that it is a mainstay in the collection, and each season there are different variations of this bag made. Prices for new bags vary depending on size and material. The current collection includes bags made from knits, tweeds, printed denim, and more, which range in price from about $3500 for a medium braided canvas style to around $7000 for a medium tweed and braid version. Some of the most sought-after and popular of these Classic Flaps are the caviar leather and the lambskin versions, which both have the same pricing. This bag has Chanel's signature quilted pattern, comes with either gold or silver toned hardware, has straps intertwined with leather and hardware, and it has Chanel's classic "CC" front closure. For a Classic Flap in either lambskin or caviar leather, the large size (7.7 x 11.8 x 3.9 in) currently retails for $5,900. The medium version of this bag retails for $5,300 and its dimensions are (6.3 x 10.2 x 2.8 in). The small version of this bag (5.5 x 9.1 x 2.8 in) retails for $4,700. There is no price difference between the gold and silver hardware choices for the lambskin or caviar version. This bag, also referred to as the Reissue, is similar to Chanel's other Classic bags, but it has just enough style to make it a totally different bag. 2.55 stands for February 1955, the year in which this bag was first sold, and the term "Reissue" is also associated with this bag because every year Chanel issues another version of it. The current 2.55 bag is made of aged calfskin and either gold, silver, or ruthenium metal. The leather here looks "crackled" and the chain is different, having a more intricate woven design made entirely of metal. It is quilted and has a similar shape to the Classic Flap. The front clasp also does not feature the famous "C's" but rather a more subdued closure. A jumbo 2.55 Reissue bag measures (7.9 x 12.4 x 3.9 in) and sells for $6,400. A large 2.55 Reissue bag will cost you $5,900 measuring (7.5 x 11 x 2.4 in). For a medium 2.55 Reissue bag measuring (6.5 x 9.4 x 3 in), you can expect to pay $5,300. This bag does not have a price difference for its different hardware options. The Classic WOC looks like a smaller version of the Classic Flap. This grained calfskin (4.8 x 7.6 x 1.4 in) bag retails for $2,500. The same dimensions and structure as above, the Boy WOC in grained calfskin leather retails for the same price as the Classic WOC at $2,500. Keep in mind that because there are different types of Classic WOC's and Boy WOC's that cause pricing to vary. For example a Classic WOC made of metallic lambskin and a yellow chevron Boy WOC both retail for $2,100 each; the flower Camellias WOC is sold for about $2,300. You can also expect to double the price for an exotic WOC. This rose gold python snakeskin Classic WOC, for example, costs $4,500. The Boy bag is one of Chanel's newer editions. It's a modern bag that has tons of variations. You can expect to pay more for certain versions. For this bag style most fashionistas favor the bold over the simple. Whereas the previously mentioned handbags are coveted in the classics, the Boy is most sought-after in its funkier designs. You can find some of the more unique small styles, such as the tweed and lambskin version, starting at around $4,300. Because the more unique ones are most coveted, the price of the large and medium sizes will go up substantially depending on its embellishments and material types. For a large Boy bag consisting of just calfskin and normal silver tone hardware, you can expect to pay around $5,200. The bag dimensions are 6.8 x 10.9 x 2.9 in. A medium Boy with calfskin and ruthenium costs about $4,700, with measurements of (5.7 x 9.8 x 3.1 in). A small Boy Bag (4.7 x 7.9 x 2.8 in) that is made of python and lambskin costs about $5,600; the higher cost for the small size is because of the python leather. This plastic plexiglass bag was introduced in 2013 and it has steadily grown to be a fan favorite. Chic and trendy, this bag is for the young or at least the young at heart. Shaped like a Lego brick, this fun clutch also has a chain strap hidden in the inside, so it can be carried over the shoulder as well. Not currently part of Chanel's collection, this beauty needs to be purchased from a reseller. Prices for this bag are crazy high, but you don't have to waste five times a month's rent on one of them. Some resellers claim this bag is worth $15,000, but this is where you can get tricked into an insanely high purchase price for the Lego. This is an investor's and collector's item, so inevitably it will be expensive. However, if you are lucky enough to find one of these gems, an acceptable price to pay would be roughly between $5,000 to $8,000. A legitimate resale site, TheRealReal.com, has one for sale with a clear green lucite body and black plexiglass sides for about $5,300. Fashionphile, a luxury resale shop that promises 100 percent authenticity or your money back, has a Pink Chanel Lego clutch available for about $5355. Fashionphile also has a Black Chanel Lego Boy that is completely embellished with crystals, save the logo and side block areas, and has a polished silver leather and chain link strap for about $7595. In the handbag community, a gently used purse is known as a "pre-loved" item. Because Chanel handbags retain their value, most users take extreme care of their bags, knowing they can resell them later. 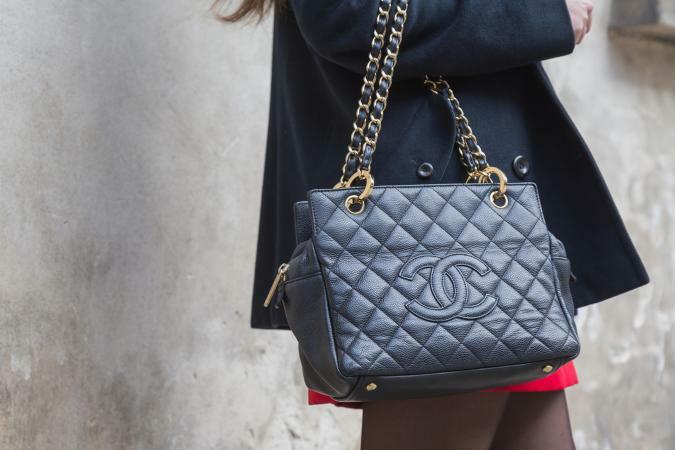 You can find pre-loved Chanel Classic bags at NYC favorite, What Goes Around Comes Around. This medium lambskin Classic bag is selling for about $3,600. This is almost half off the current new retail price. Buying a 2.55 Reissue bag hurts your wallet a lot less when you purchase it secondhand. For example, this pre-loved black patent leather Reissue bag is available for $2,400 in the jumbo size. The ever popular WOC is sold in a variety of styles at Vestiare Collective, a French-based luxury resale community that authenticates all its items. While prices vary, you can typically find a WOC for nearly half off its new retail price. For example, this quilted black lambskin WOC is available for just over $1760 (retail priced new at about $4300). Since different embellishments and materials equal different pricing, you can expect to pay more for specialty bags, like the Swavorski Crystal Boy bag. Originally this bag cost $10,000 but you can find it for about $4,500 as a pre-loved bag at Michael's Consignment, a New York-based luxury resale shop that's been in business over 60 years. Michael's also has this Black and Gold Boy bag up for sale, priced at $4,000. It is a style that has gold and black leather in a criss cross pattern and a gold chain handle. Every woman deserves a Chanel purse, but sometimes this is easier said than done. Whether you are considering one of the latest bags or looking for a pre-loved purse, understanding more about the prices can help you be more knowledgeable and know what to expect when shopping. Keep in mind Chanel's different pricing for more exotic leathers and embellished pieces, but be armed with general prices as you shop as well.